Some people pursue data governance. They work to ensure data quality by identifying data owners, stewards, and stakeholders; by cataloging models, schemas, and other metadata; by documenting requirements; by tracking the lineage and provenance of data, systems, and services; and on and on. Other people pursue operational data processes. They integrate data into a new data warehouse; they spin up data services in support of new mobile or B2C applications; they bring new customer and product data onboard; they deliver data feeds and data marts to business analysts; and on and on. The former faces the challenge of gathering governance information and establishing policies and procedures to keep the governance up-to-date and ensure that data standards are followed throughout the organization. The latter faces the challenge of meeting deadlines and cost targets, satisfying business requirements, and delivering high-quality results to their customers. We're here to tell you that you can have the best of both worlds. You can achieve high-quality governance that directly drives efficient operational processes AND you can derive up-to-date metadata as a by-product of your data integration or data services projects. Simply put, you can have your cake and eat it too. 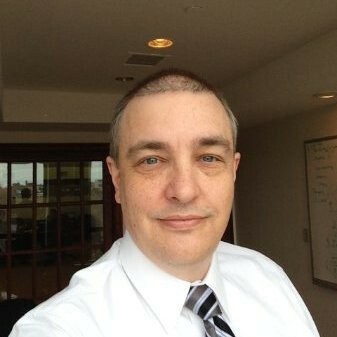 Marty Loughlin is Vice President, Financial Services at Cambridge Semantics Inc. Prior to joining Cambridge Semantics, Marty was the Managing Director for EMC's consulting business in Boston. His 25 year career has focused on helping clients leverage transformative technologies to drive business results, most recently in Cloud and Big Data. Prior to joining EMC in 2005, Marty was co-founder and COO of Granitar, a web consultancy that grew to 250 people in four years and served clients such as State Street Co., The New York Times and Standard & Poor's. Marty began his career in Ireland with Digital Equipment Co. He holds a B. Eng. from Dublin City University and a High Tech MBA from Northeastern University.